The new Salomon Aira 80 Ti makes a great ski for the intermediate to advanced skier who wants a lightweight ski that is stable and easy to control on the frontside of the mountain. Salomon's C/FX 3 Construction combines carbon and flax to add strength to the ski without adding any extra weight to deliver smooth skiing at any speed. A Cork Tip Inlay lowers the swingweight by pulling heavier material away from the tip of the ski for easier maneuvering. The Pulse Pad has elastomers that absorb vibrations to keep the skis chatter free. A Ti Power Zone gives you extra rigidity underneath the binding platform and more power when you ramp up the speed. Full Sandwich Sidewalls grip into icy slopes for added responsiveness and comfort, especially for mid-Western and Back East skiers. Salomon's All-Terrain Rocker 2.0 helps you initiate and exit turns effortlessly. 2019 Salomon Aira 80 Ti Ski Review by Jessi. 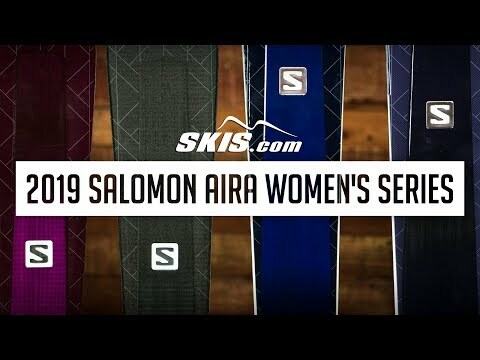 2019 Salomon Aira 80 Ti Ski Review by Whitney . 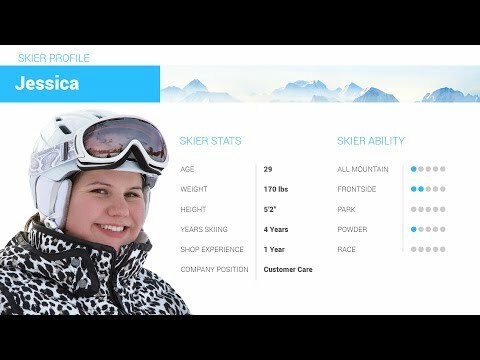 2019 Salomon Aira 80 Ti Ski Review by Jessica.